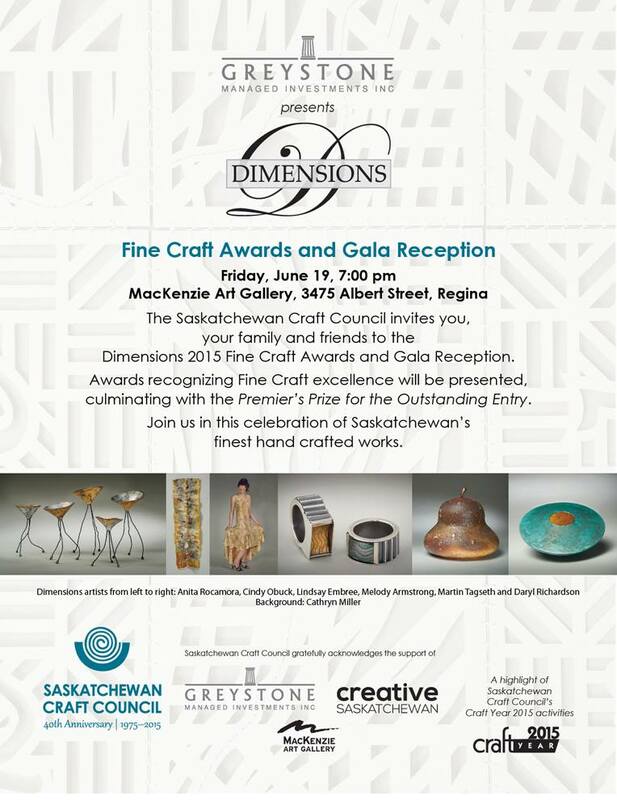 Dimensions is the Saskatchewan Craft Council’s biennial, open, juried, touring exhibition which encourages and rewards excellence in hand crafted work. 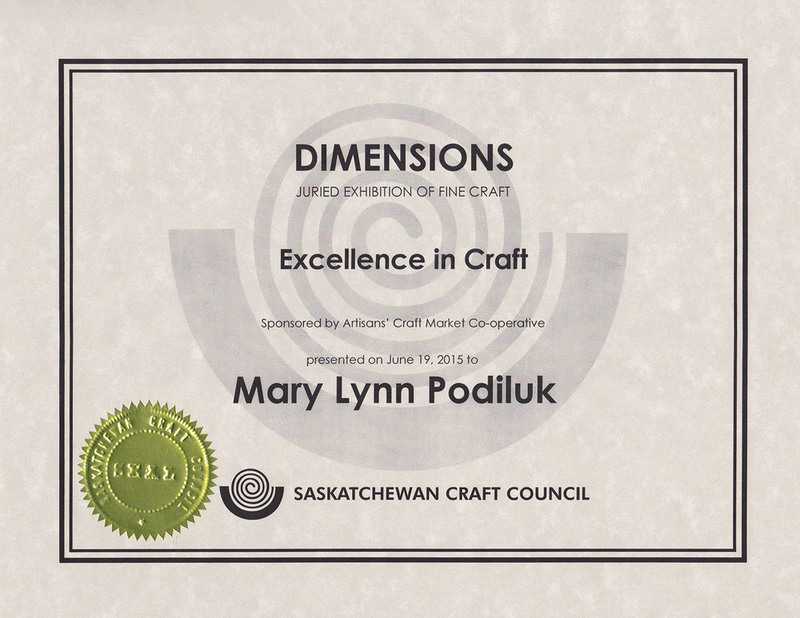 Every two years the Saskatchewan Craft Council invites all Saskatchewan craftspeople to submit up to two handcrafted items for Dimensions. The charge to the jurors reads, “For our Dimensions exhibition, the SCC looks for works with unique, individual expression that transcend technique. They should have content as well as achieving technical and creative excellence.” 180 works were submitted by 106 artists. The two jurors selected 36 pieces for Dimensions. 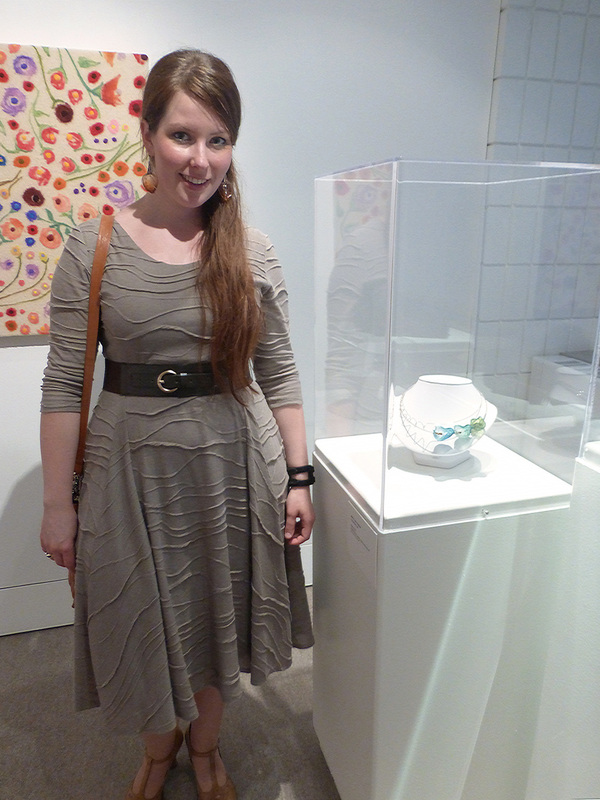 My neckpiece 'Echo' was selected and also received the Award for Excellence in Fine Craft. 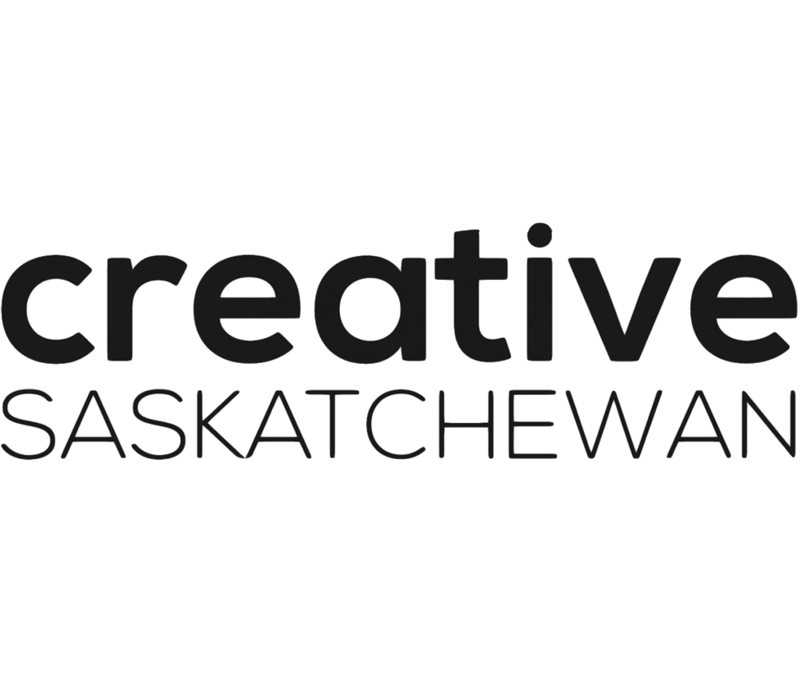 Saskatchewan Craft Council. Dimensions. Saskatoon: SCC, 2015. 14. Print.